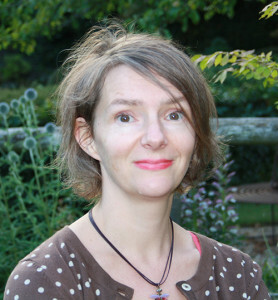 Naturally Nourished was launched in 2013 by Jane Kennard, a Formula Botanica graduate, in Dorset, UK (just round the corner from the main Formula Botanica HQ!). Jane has always been passionate about healthy living and began her journey into making her own high quality, effective skincare range by developing her own range of luxury, guilt-free skincare that is pure and good for your skin. Formula Botanica is so proud of Jane for launching such a lovely business. We caught up with Jane recently to ask her a few questions about Naturally Nourished and asked her to share her top tips for our students. Hi Jane, can you tell us a bit about yourself and your background? I am a mum of three (Alice, Evie and Max), and live in Dorset. I am nurse and midwife, currently working part time as a midwife. I am the eldest of three sisters, and we grew up in Somerset with a very practical, strong, no nonsense mum, necessary as my Dad was at sea most of the time! She grew veg, cooked and baked from scratch, made a lot of our clothes, and still does all this, except make us clothes! A lot of this has rubbed off on me, although I do struggle with a sewing machine; I am passionate about the environment, about doing the right thing now to help the future. Our society takes so much for granted we have lost track of the process. The chain from beginning to end is so very long we only see the end product and have no idea, and in some cases, care little, if something or someone has been exploited or has suffered to keep us in the lifestyle we have become accustomed. But I do care, a great deal, which is why my skincare company is not only 100% natural, but ethical and transparent. I am really proud to be able to offer this as part of my business as well as my lovely products. Being ethical and transparent really matters to me and it’s something that isn’t talked about much, it’s not the buzz word or in vogue, but in my opinion, is really important. 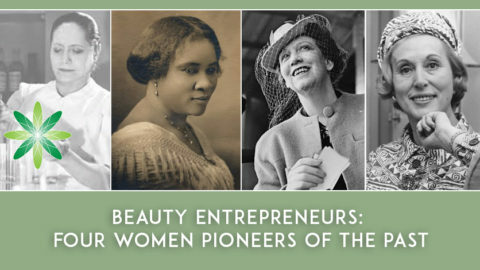 What was your inspiration for launching your own skincare business? For many, many years I have sought out natural products to use for myself and my family, as its better for our skin and the environment. A couple of years ago my husband bought me a book on how to make your own natural skincare products. When I finally had a chance to pick it up and read it I was really inspired and started making a few things from the book, but also started adapting the ‘recipes’ and researching ingredients, great fun! 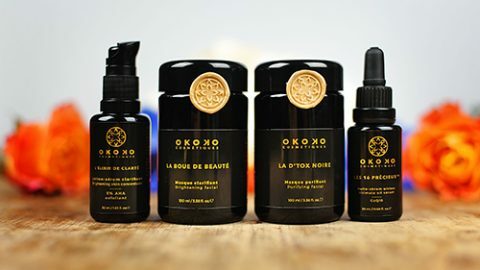 Not long afterwards I was given Star Khechara’s Holistic Beauty Book (note from Formula Botanica: Star Khechara founded Formula Botanica in 2012) and discovered her online skincare school and signed up straightaway. Can you tell us a bit about the inspiration behind the name and the branding? Naturally Nourished was launched in Sept 2013. The name and the branding came about through simple brainstorming. Before I started nursing I trained to become a Graphic Designer, but left to do nursing instead- Graphic Design is so not my world. However that fundamental idea that inspiration is everywhere never leaves you, so for me, coming up with my logo was an enjoyable, and familiar process. What kind of products have you launched as part of your brand? At the moment my range consists of both anhydrous and hydrous products. You can’t escape from the fact that people like a cream! 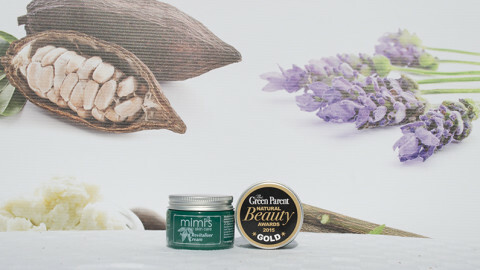 I have products for the face, body and hands. I don’t know if I could narrow down my single favourite product, each one does such a great job for the skin. 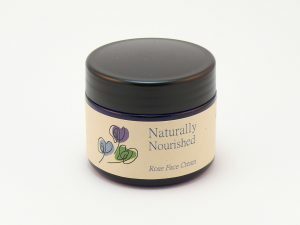 Perhaps my Rose Face Cream, it’s a fantastic all rounder, or maybe my Aloe Vera hand cream! I am often asked about shampoo, body washes etc, and initially shied away from them as they aren’t wholly natural. There is nothing in nature that gives a good foam without having be adulterated in some way, but I have bowed to pressure and started formulating with decyl glucoside with some very good results, particularly the shampoo! I really want to be able to produce natural perfumes as well, so am eagerly awaiting the upcoming Formula Botanica course on natural perfumery (note from Formula Botanica: we plan to launch our Natural Perfumery course in 2015!). What advice would you give to our students who want to follow in your footsteps? 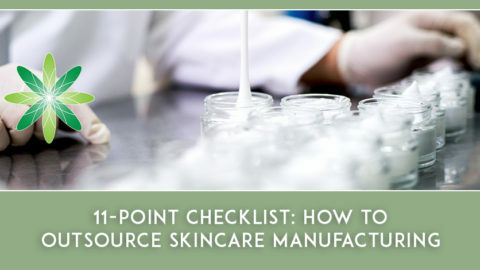 There are so many natural skincare companies out there, ones that really are natural, and one’s that aren’t so, with seemingly bigger, better products than you, it’s easy to become despondent, but if you are formulating with top notch natural ingredients your products will be just as good if not better than the vast majority out there. The ingredients really do make the product. I want my business to be successful, but I don’t really want to become the next Tropic skincare, or Liz Earle, meaning that I want to always produce fabulous skincare without any compromises. Skincare that not only works with your skin to keep it healthy, and gives amazing results, but has a minimal environmental impact also. Thank you to Jane for taking the time to answer our questions! Formula Botanica strongly supports all of its graduates and we are really pleased to see Jane take Naturally Nourished forward. We have tried some of Jane’s products (including the rose facial cream) and they are very lovely. Jane is an inspiration to all of us and we wish her lots of luck in taking Naturally Nourished Skincare from strength to strength! 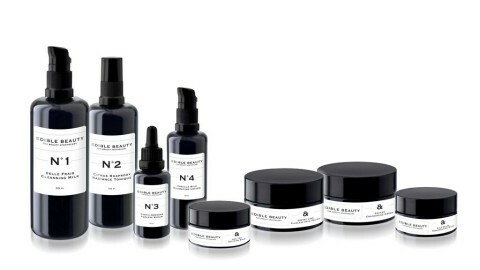 So Pure Skincare : Exquisite Artisan BeautyAttend a Formula Botanica workshop in London!